One of the annual start of school rituals for our students and parents is the signing of the beloved (or not) handbook. Having seen and read more than my fair share of these, I can’t help but wonder if there is a merit badge out there for the lengthiest, most verbose document. I am not sure if you know this, but entire sections of the Amazon rainforest have been cleared because of our handbooks, which means that WE are responsible for global warming. And, if you don’t believe it’s happening, then I invite you to spend a summer day with me in Phoenix. Truth be told, the vast majority of parents and kids don't read our handbooks, They just skip to the back page, sign, and hand back to their child to dutifully turn back in. 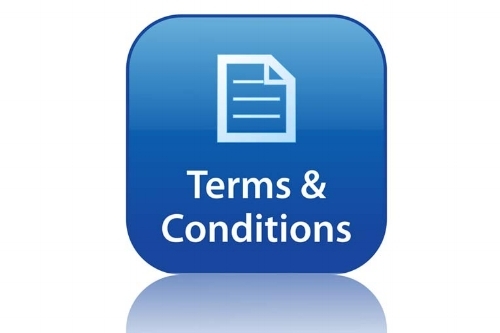 Think about it, how many of you actually read the "terms and conditions" on documents? Believe it or not, handbooks have little to no legal standing as the parent can't "sign away" the rights of a child. And, unless the child is eighteen, they can't legally "sign away" their own rights. So why have parents even sign it? Information disbursement? Legal standing? Vanity? C.Y.A? Nope, we do this because it makes us feel better. Students don't learn how to behave or what to do by reading lengthy documents. Students learn through observation and modeling. Simply stated, if you want a new member to learn how to act, rehearse and behave, make sure that your student leaders model, and engage the desired behaviors. How have my actions affected others? Just something to think about... After all, I kind of like the rainforests. And, it's getting REALLY hot in Phoenix. I agree to not to re-post Scott's stuff without citing the source (I work hard to steal my content and am deserving of the credit I am due). I agree not to post fake ads on Craigslist with Scott’s cell phone number (John, I am talking about you!). I agree that I am not an English teacher and will not send Scott snarky remarks about his misuse of a colon, as comments about Scott’s colon are inappropriate anyway. I agree not to mark Scott’s emails as “spam” because I am too lazy to simply unsubscribe. I agree to address Scott as "Broseph," “Big Deal” or “Hey you!” "Pint-sized jerkface dimwit" is not appropriate, besides my kids already have that one covered. I agree NOT to mention the fact that Scott is turning 50 soon, as he is touchy about it. I agree that, while each and every week may not be a literary masterpiece, Scott’s content goes to ELEVEN and should not be used or abused. In fact, don’t even look at it. I agree that boneless chicken wings are just an adult way to order chicken nuggets. I agree that I am not a bot, hacker, or spam junkie. Seriously, don't you guys have an election to hack? I agree that “you get what you pay for” and promise to remember that Scott’s weekly e-zines are free. Refunds available upon request. I agree when sharing Scott’s stuff on Bragbook, Instacrap, or MySpace (seriously MySpace?) to tag Scott Lang Leadership. I agree that 90's rap was a bad idea. I agree that none of this is legally binding. I hereby “pinky swear" to these and any other future obscure terms that come to Scott’s mind. Any violations to these terms will force me to "lawyer up" on you. And by “lawyer up” I mean fold some laundry, as I don’t know any lawyers. Failure to agree to these terms requires you to send Scott a nice fruit basket and an assortment of dog toys for his neurotic Golden Retriever, Rexi. Like father like son and my Da Capo!